Barbados has to offer at your own pace. The Villa is close to beautiful golf courses and near pristine white beaches with snorkeling and scuba diving. The villa rental is ideal for couples or groups seeking the ultimate in comfort. After a day of sightseeing, sports or enjoying the beach, there's no better place to unwind then at Long Breeze Villa. Set in the village of Inch Marlow, Long Breeze Villa is well positioned for windsurfing and kite surfing. We are a 2 minute walk from Long Beach and close to Silver Sands beach and beach resort. 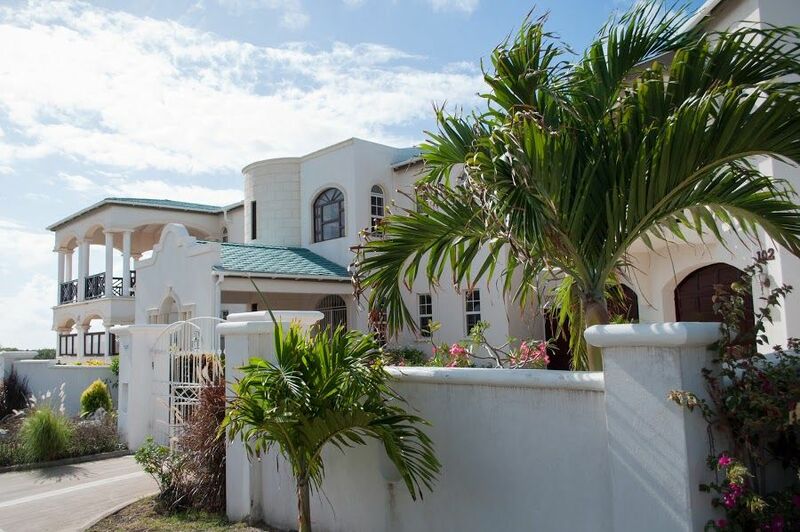 The Villa also serves as a good base for independent travelers who want to explore Barbados but don’t feel the need to be on the busy West Coast or in the thick of the action on the South Coast. Only 15 minutes from Grantley Adams airport you can be relaxing on the deck or be taking a swim in the Villa pool within 30 minutes of landing! This 2 bedroom apartment is on the ground level with a private entrance and patio; below the owners residence. Lots of privacy. A great find here, an amazing private villa within a short drive to almost any desired destination on the island. The home was dream home away from home with all the amenities you could ask for. Doreen and Merv were always available for any needs and to assist with anything. It was a perfect set up for our group and if Barbados calls once again, I know where I will be booking. Thank you Rudy for your wonderful review. It was a pleasure meeting you guys and so glad you enjoyed staying with us at Long Breeze Villa, in beautiful Barbados. We are very happy that you were able to see a lot of the island, and made good use of the Pool. Merv & I are looking foward to welcoming you back in the near future. We had Long Breeze Villa for 10 days. Upon our arrival we were greeted by the the owners. Doreen and Merv were very welcoming. They even had a list of things that they thought would be of interest for us to do while there. It is close to the beach...not a swimming beach but was fine for a walk. Not far from town. We had a car so was only about 10 min. drive to town. The Villa was nice even to spend the day by the pool. If we ever go back wouldn't hesitate to book this place again! Thanks so much Doreen and Merv! Thank you for your wonderful review. Bubar's & Culberson,s. Merv & I are happy you enjoyed your stay with us at Long Breeze Villa. It was our pleasure to keep you informed and so glad you enjoyed much of the island, so much to see and do in so little time. Looking foward to having you stay with us whenever you decide to return to Barbados. We rented a car and stayed here, it was awesome! Home is just what you need to get away. Much better than staying at a hotel. I do suggest a car as it is not on the main road, the great thing about not being on the main road is that it is very quiet. The Sink in one of the bathrooms needs to be fixed as it does not drain but other than that I had no problems. Oh and the breeze coming off the ocean while in the hammock is incredible! Maureen, glad you enjoyed your stay at our vacation home. You're right a Car is recommended even though public transport is 10 mins away. Not aware that one of the bathroom sinks would not drain, will definitely have that fixed . Glad you enjoyed the ocean breeze, the hammock and the Quiet. Thanks for choosing Long Breeze Villa . Long Breeze Villa a Fabulous home. Stayed there for 2 weeks in March. It exceeded all our expectations. The Villa is equipped with anything you could possibly need. A perfect place to park yourself by the Pool, the Jacuzzi, sipping drinks by the Pool bar or read a book in the Hammock. We felt very safe in the Villa which is very well maintained. A car is recommended however Taxi service and tours can be arranged by the owners. Barbados has beautiful beaches, delicious food, awesome restaurants, wonderful people. and always something happening, with entertainment at the Beach bars and Restaurants. Oistins Fish Fry, an island Tour and a Catamaran cruise are highly recommended. Your holiday could be relaxing or as hectic as you want. Would definitely be back. We stayed at Long Breeze Villa for an extended holiday (2 glorious months), the villa was wonderful; from the fully functional kitchen to the amazing patio and pool. Doreen and Merv were the perfect hosts, we were made to feel like family. Thank you for being our "tour guides", you made our holiday magical.